I was expecting very little when I picked this trilogy up at one of my favourite Canberra secondhand bookstores. I’d heard of “Divergent” by Veronica Roth before, and knew enough to know that it was another young adult dystopian series with a female protagonist. I figured it would be a carbon copy of “The Hunger Games” but was willing to give it a try because…well…I just liked the covers. The Divergent series, which comprises of “Divergent”, “Insurgent”, “Allegiant” and “Four: A Divergent Collection”, is about a young girl called Beatrice who lives in a city where society is split into five factions based on what you value most in your personality. Beatrice grows up in Abnegation, the faction that prioritises selflessness and is responsible for the majority of the city’s administration. There is also Dauntless (bravery), Candor (honesty), Amity (peace) and Erudite (intelligence). At 16 years old, Beatrice must undergo an aptitude test to find out which faction she is best suited to, and then decide on Choosing Day whether she transfers into a faction that better represents her personality, or remains with her family in Abnegation. Dystopian fiction is a classic science fiction genre that has had quite the renaissance recently, and “Divergent” et. al. is a perfect example of a using this medium as a thought experiment for exploring new and different social structures. While Roth’s premise itself is relatively novel, after you’re about halfway through the second book her ability to develop and ultimately execute it becomes more and more questionable. By the time you reach the third book, you have to suspend your disbelief so many times to accept her scientific premises that you almost have to brainwash yourself to make it to the end. Without giving too much away, Roth’s reliance on “serums” to manipulate the human mind in a variety of convenient ways is so far into the realm of unlikely that her meagre attempts at scientific explanation are completely redundant. What Roth lacks in scientific credibility, however, she makes up for in spades with her writing and character development. This series absolutely races. I think I legitimately finished the three main books less than 48 hours after I started them. It has been a while since I’ve had a page turner that kept me awake late into the night, and it was extremely refreshing to read something that made me want more and more and more. She is a very evocative writer from an emotional point of view, and Beatrice is a complex, observant, flawed and human protagonist who is extremely likeable and provides a great lens through which her world is seen. Her relationships feel very real and Roth is able to boldly weave in the subtleties and intricacies between her characters making them all the more relatable. If you read this series, don’t read it because it is a great example of the science fiction genre. Read it because it is a fast-paced teen romp through a dystopian landscape. Read it because of the exhilarating highs and the devastating lows. Read it because once you start, you’ll just keep turning the pages until there are none left. 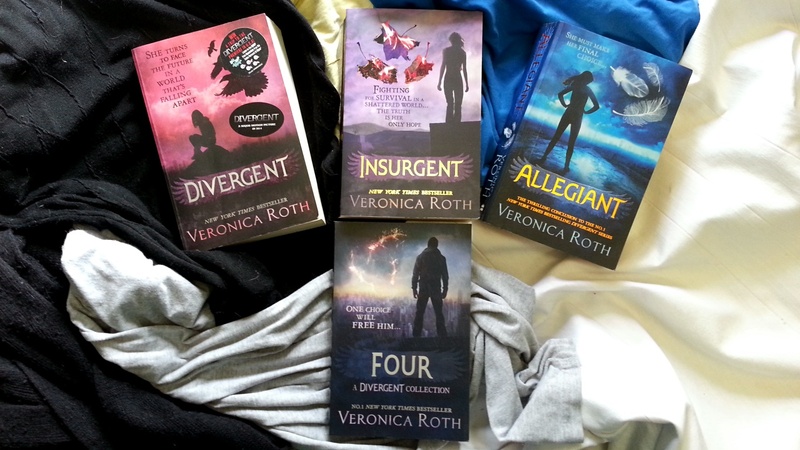 Just don’t bother with “Four: A Divergent Collection” – it adds exactly nothing to the series except a sense of frustration.